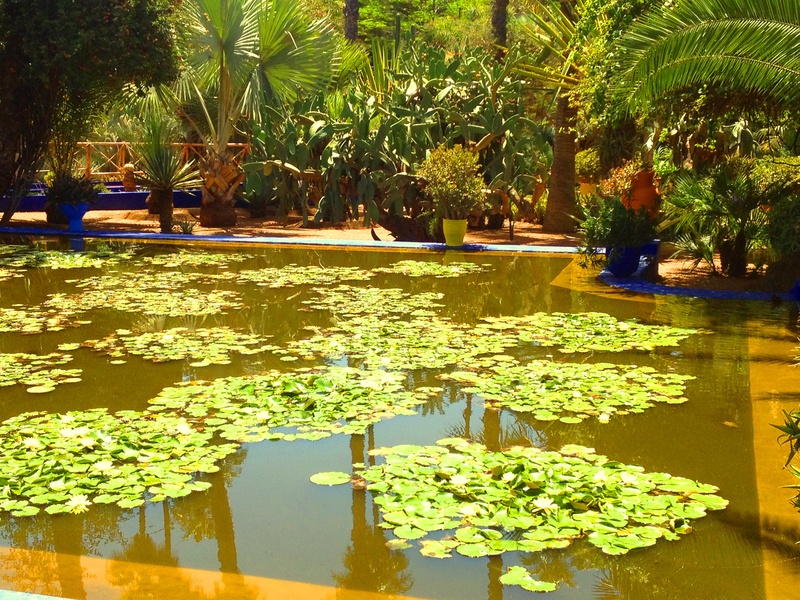 Set right in the heart of this Moroccan city is an aperture where a secret garden lives and breathes. Painted azure blue walls and pillars are luminous, peering between the greenness of vegetation, the greenness of a giant pond where lily pads float heavenly and evoke a sense of serenity and calm. 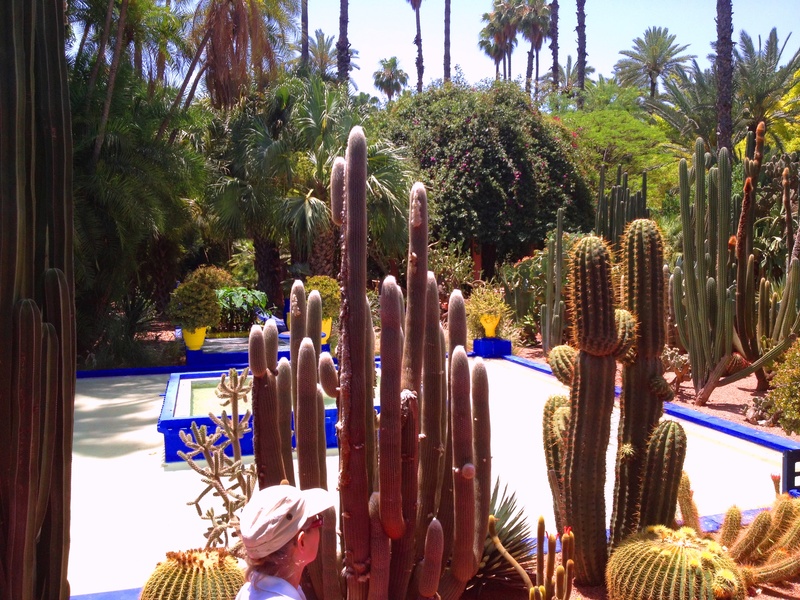 The only threat posed in Le Jardin Majorelle, if any, is the frightful size of the immense cactus needles. 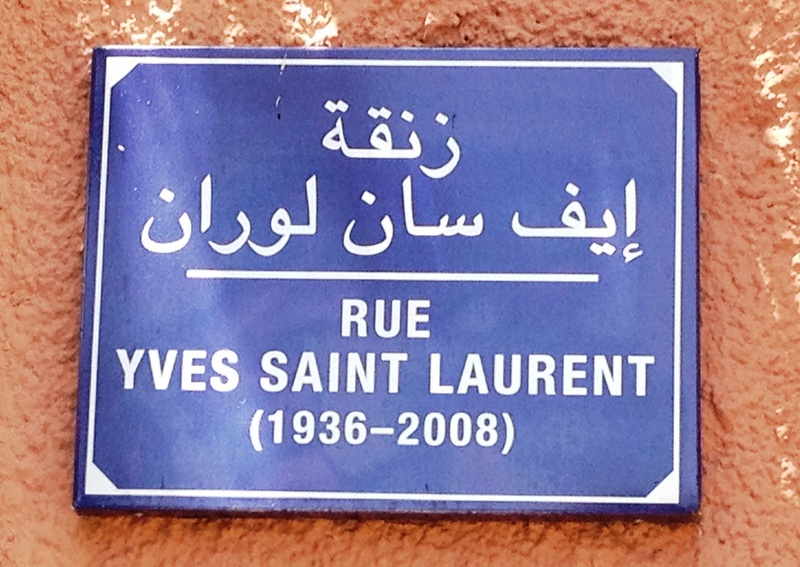 Yves Saint Laurentand Pierre Berge, once Yves’ partner, friend, business partner and co-founder of the Yves Saint Laurent Couture House, purchased and restored the Jardin Majorelle in 1980. 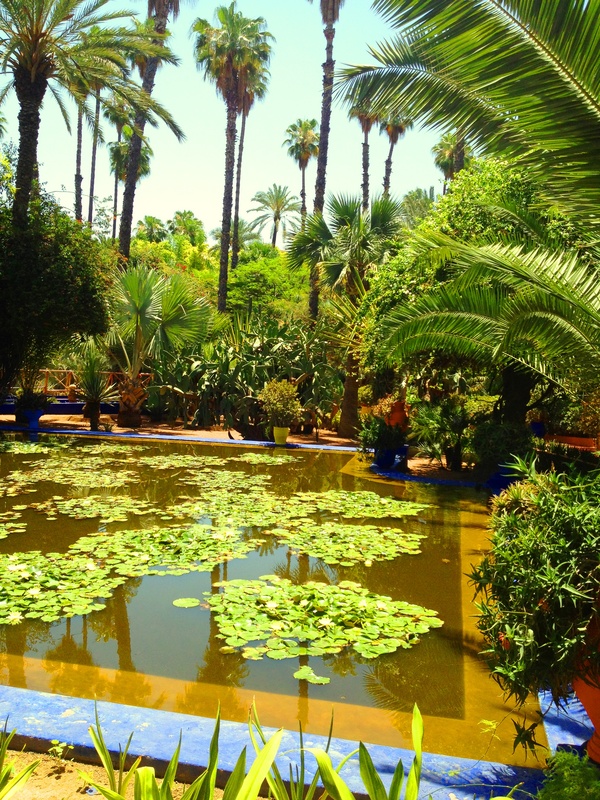 The land was initially acquired by french painter Jacques Majorelle, who settled in Morocco and opened up the garden to the public in 1947. 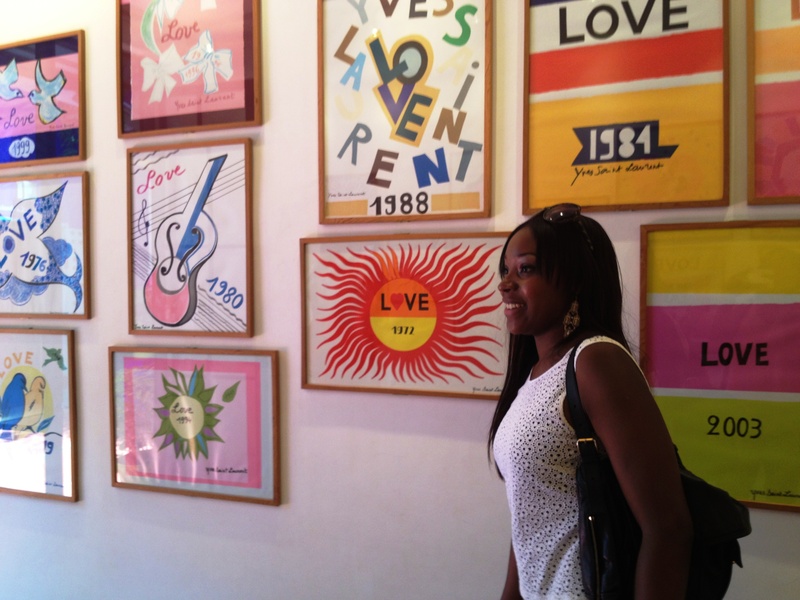 Jacques Majorelle was in an unfortunate car accident which led to him returning back to France. 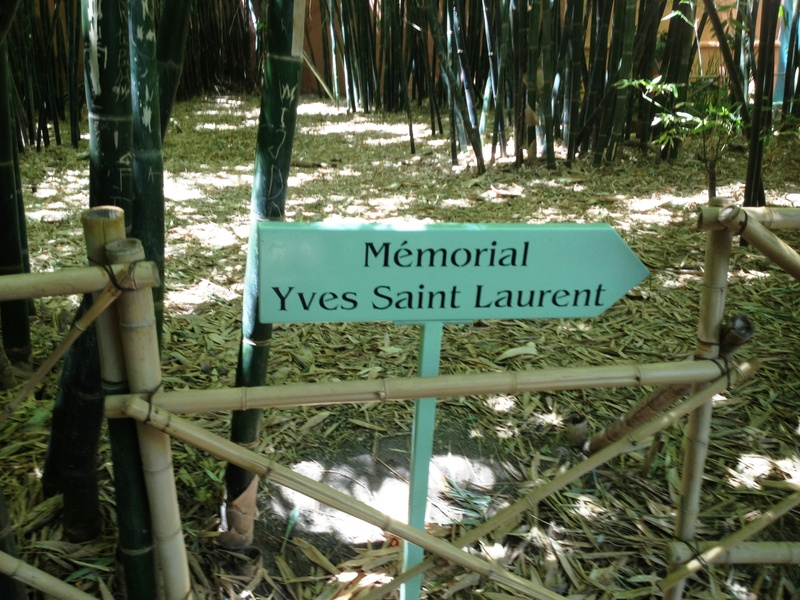 The garden grew unkempt and overgrown, however Yves Saint Laurent and Pierre Berge began a long process which would nurture it back to life. 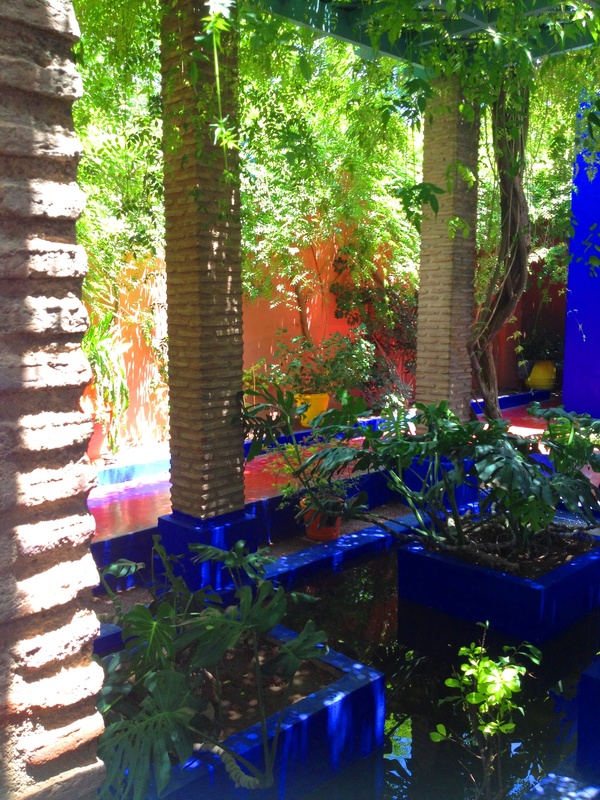 The designer asked that he have his ashes scattered at Le Jardin Majorelle on his passing. 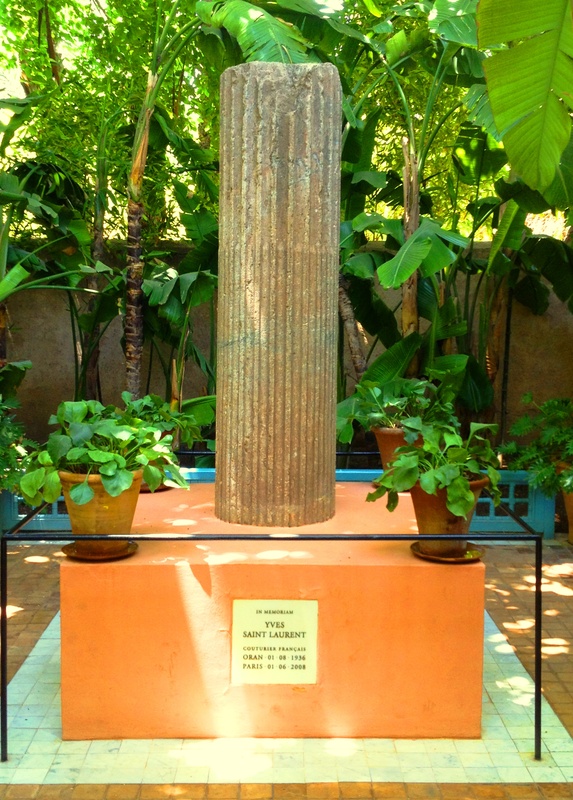 Yves passed on the 6th June 2008 and as requested his ashes reside in Le Jardin Majorelle. After visiting the garden, I can understand why the designer loved it so much. 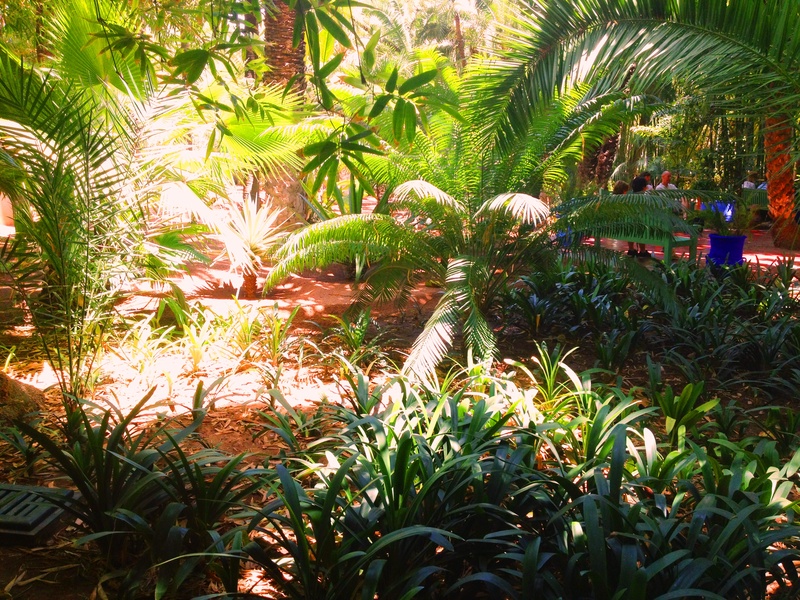 I am particularly aware of how long it’s been since I’ve written anything particularly fashion concerned, so I thought it would be best to begin the recollection of my holiday in Marrakech with photos of the Jardin Majorelle…Fashionistas might refer to this magnificent garden as the Yves Saint Laurent memorial gardens. 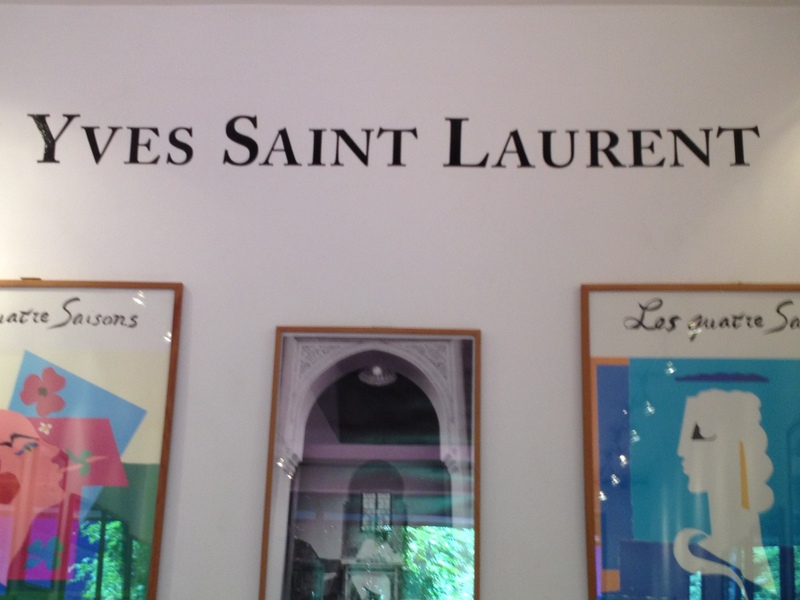 Admittedly I was completely ignorant to this garden and its connection to the fashion designer whom I personally adore for his championing of the sultry Le Smoking tuxedo jacket for women in the sixties and his androgynous designs. 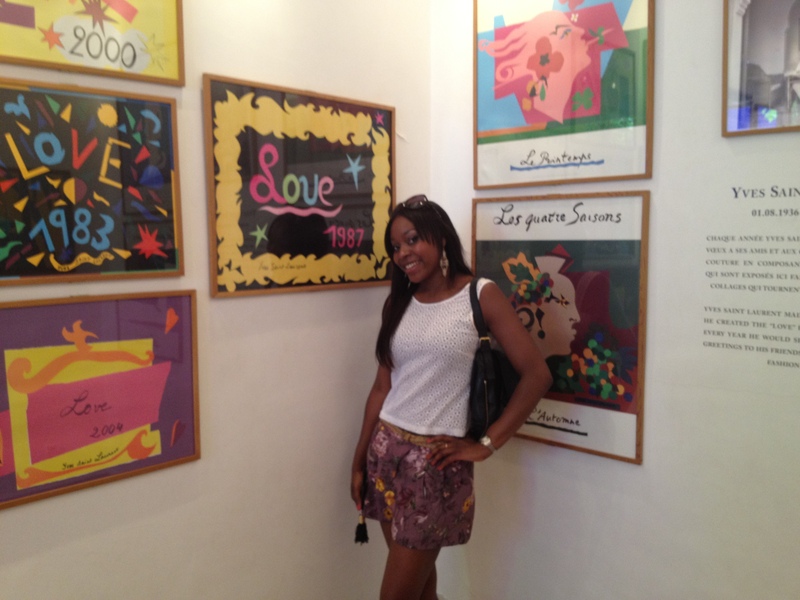 My sister, an illustrator, and I felt as though we had stumbled upon a treasure hidden in the thick of towering cacti of the Jardin Majorelle when we found the significant collection of Love post cards illustrated by Yves Saint Laurent himself being showcased right here in the gardens! 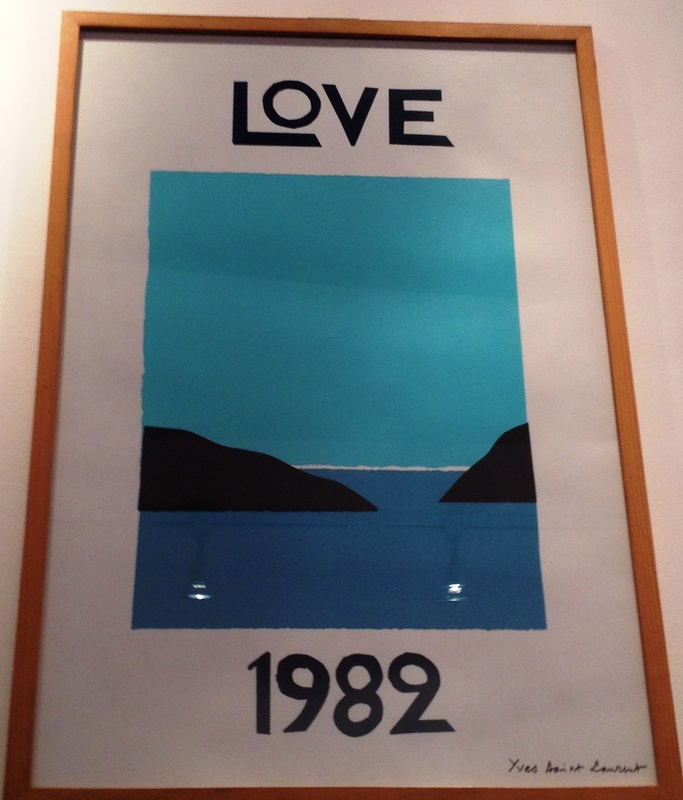 What followed was a frenzy of both of us trying to take as many photos as possible of the illustrated posters. Unfortunately I had left my trusty bridge camera back home in London so I was very much dependent on my iPhone for picture taking. 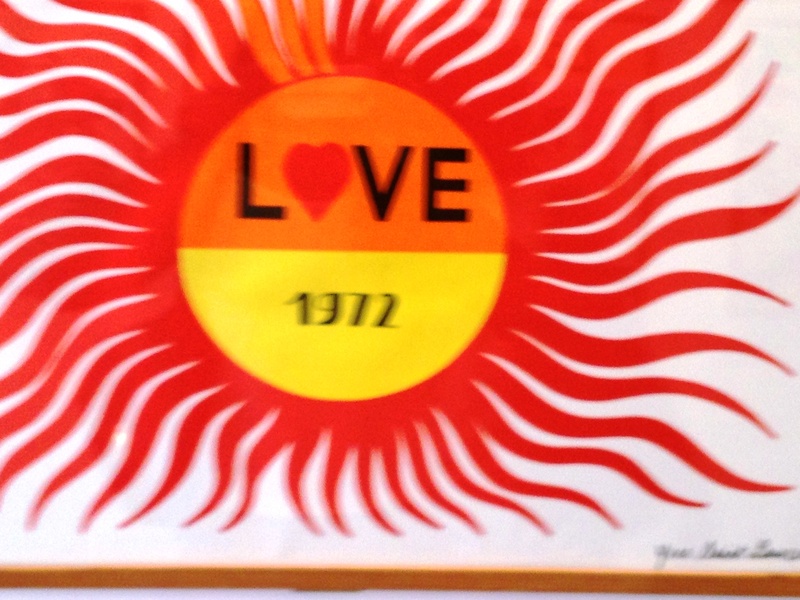 Yves Saint Laurent would send his personally illustrated Love post cards out to his close friends and clients of the fashion house every year as a New Years greeting. 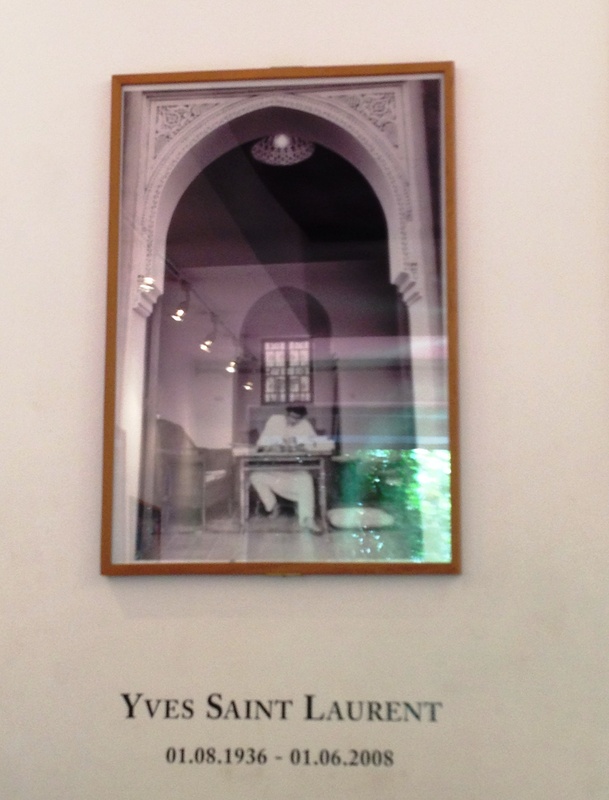 A small shop just opposite where the Yves Saint Laurent post cards are showcased sells copies of the cards for you to purchase, amongst some great YSL coffee table books and magazines featuring the designer. 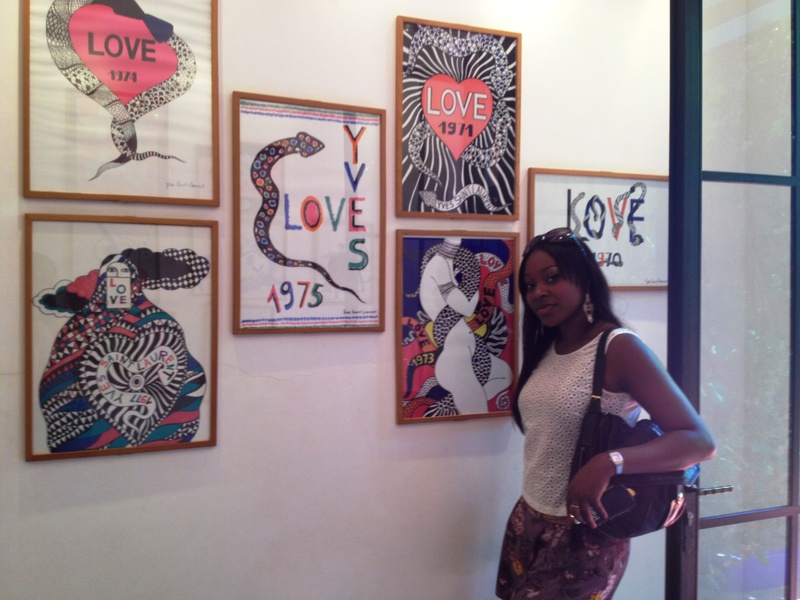 I purchased two of the Love post cards for my fashion illustration feature wall which I have been building on for the past year or so. 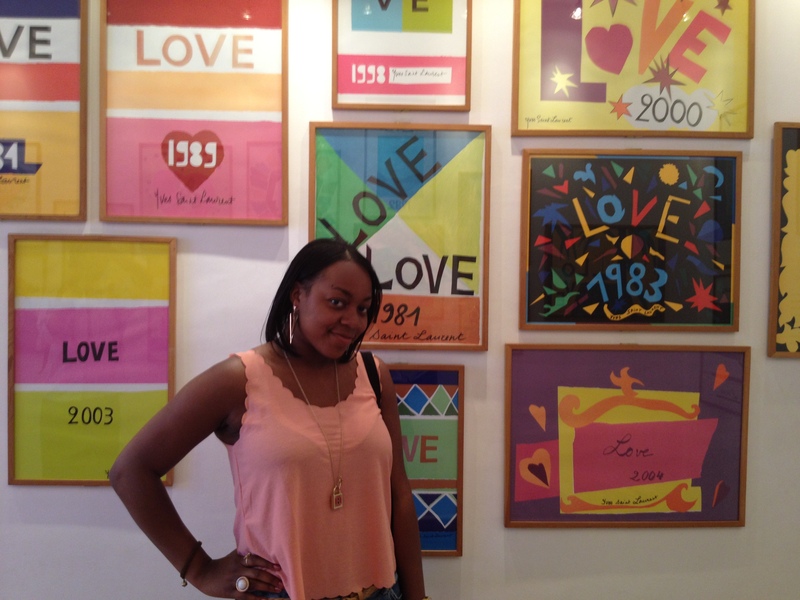 Once the post cards are framed I will proudly add them to my wall!